Vessel Hanse 385 named 478 has been built in 2017. 478 is certified for 8 crew members. Layout of the yacht is 8 (6+2). 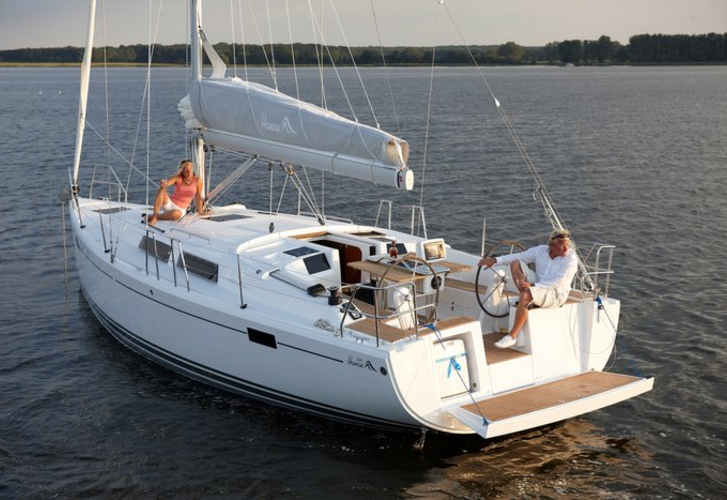 Hanse 385 478 has 3 bedrooms. For guests disposal there are 1 WC. With engine 27 478 can move really fast. 478 is 10.90 meters long and 3.88 meters wide. Depth is 1.95 m. Boat's equipment includes : Internet Wi-Fi, Gps, Gps plotter, Autopilot, Mainsail with lazy jack, Barbecue, Anchor electric windlass, Teak cockpit, Heating, Radio / cd player, Radio cd mp3. . Nonrefundable caution is 1500.00 EUR. Choose our offer and enjoy your holidays on the deck of 478.